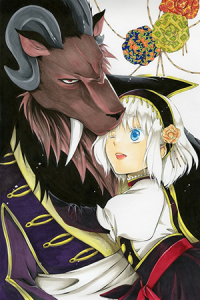 Now from Yen Press we find a new black & white manga series with the descriptive title of Sacrificial Princess & The King of Beasts, written and illustrated by Yu Tomofuji. “A young girl has resigned herself to being he next sacrificial meal for the Beast King…but the king is no mere monster! Love is more than skin-deep in this gorgeous fantasy manga.” Which is available at Amazon.